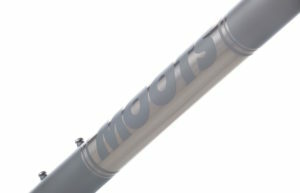 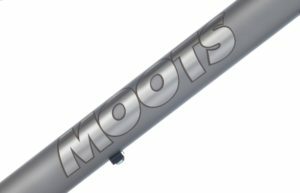 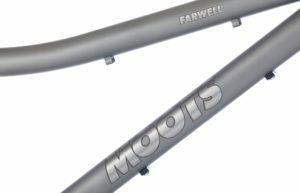 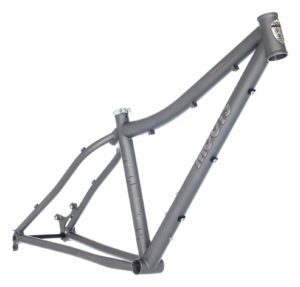 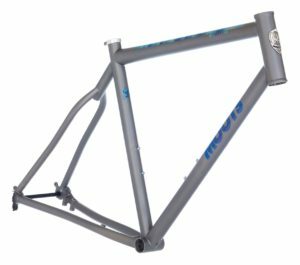 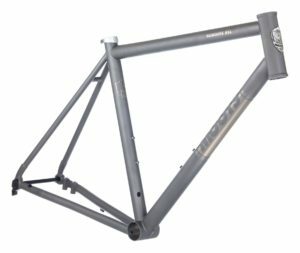 Building on our Premium Anodized finishes, we are proud to introduce Moots Signature Finishes. 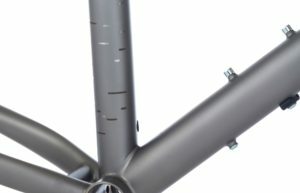 This new line of Signature finishes offers the next aesthetic evolution from our talented finish team. 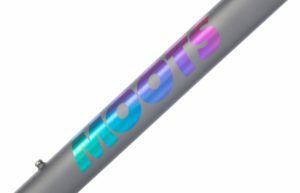 Unique anodized colors to personalize your bike in four distinct patterns, while staying true to the unmistakable look and lifetime durability of a Moots.  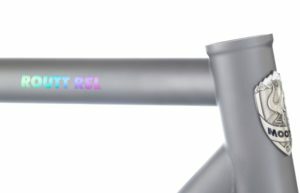 STANLEY – The downtube and model name are treated with a vivid gradient. 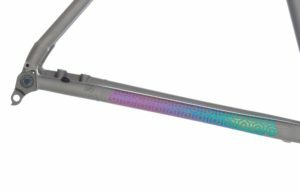 Model name in STANLEY vivid fade. 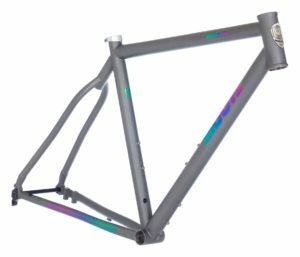 STANLEY-The chainstay is further embellished with a design based on the iconic hotel carpet pattern found in one of our favorite Colorado-set films. 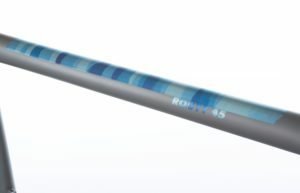 The STANLEY in full sight. 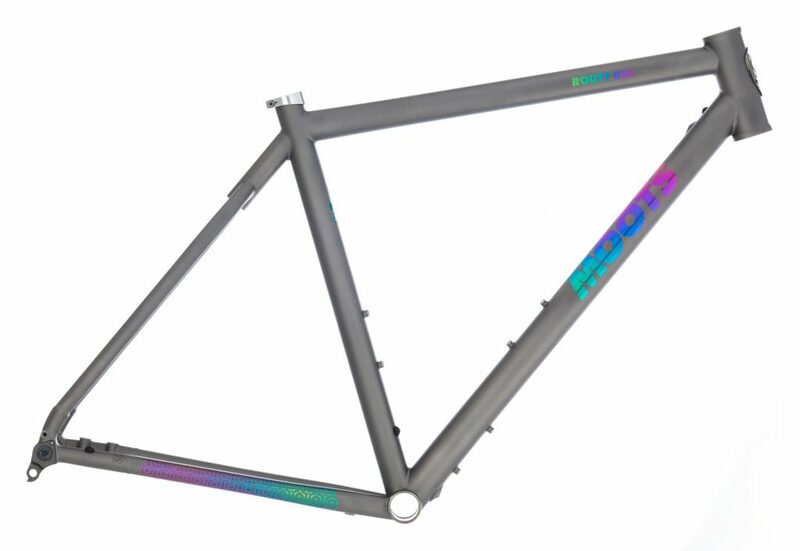 SKYLINE – Inspired by our local mountains, their silhouettes and clear skies. 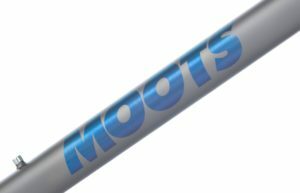 The top tube graphic samples the SKYLINE to our west and features outlines of Elk Mountain, Hahns Peak and others. 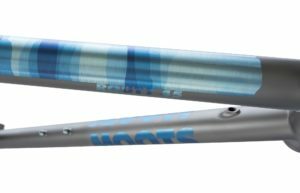 BIRCH – A combination of brushing, bead blast, etching and anodizing that all add up to a striking design with subtle variations in texture.